1902 The Reclamation Act is enacted by Congress and planning begins on a federal reclamation project in the Owens Valley for irrigation of as much as 185,000 acres. 1905 Los Angeles Water Commission approves plan for an aqueduct from the Owens Valley to the City of Los Angeles. City of Los Angeles begins acquisition of land and water rights in Southern Owens Valley downstream of the proposed aqueduct intake dam. Plans for a U.S. reclamation project in the Owens Valley are abandoned. 1905 Construction of the Los Angeles Aqueduct is commenced. 1913 LADWP completes aqueduct and begins the export of water from the Owens Valley to Los Angeles by diverting the water from 62 miles of the Owens River. The capacity of the aqueduct is approximately 480 cfs (300,000 acre feet per year). 1924-30 Residents of the Owens Valley oppose Los Angeles’s land and water rights purchases and water exports. Violence sporadically occurs. 1934 Los Angeles files water rights application for 200 cfs of water from the Mono Basin and commences construction of an 11-mile underground water tunnel to hydraulically connect the Mono Basin with the Owens River. Los Angeles and the U.S. Government complete negotiations of an Indian Exchange Agreement in which lands occupied by Native Americans were exchanged for Los Angeles-owned lands near Bishop, Big Pine and Lone Pine. The exchanges did not include water rights, but Los Angeles agreed to supply 5,556 acre-feet of water to the exchanged lands. 1941 Los Angeles completes construction of Mono Craters Tunnel and begins water diversions from Mono Basin. Construction of Long Valley Dam is completed and the reservoir (now known as Crowley Lake) begins to fill. 1944 Los Angeles ceases direct sales of town lands in the valley on the advice of the City Attorney that direct sales are illegal. 1945 Charles Brown Act is enacted which requires Los Angeles to grant existing tenants of its land in Inyo County the first right of refusal on lease renewals and land sales. 1947 Los Angeles resumes sales of its Owens Valley town properties at public auction (without water rights). 1952 LADWP diverts the river from the Owens River Gorge (downstream of Long Valley Dam) to produce hydroelectric power. 1957 Fish and Game Code §5937 is adopted which requires the owner of a dam to release sufficient water below the dam to keep fish below the dam in good condition. 1950s – 60s Los Angeles repeatedly challenges Inyo County’s tax assessments of its properties in Owens Valley. 1963 LADWP announces its plan to construct a second aqueduct from the Owens Valley to Los Angeles. 1963-68 LADWP reduces amount of irrigated lands in the Owens Valley in order to make additional water available for export through the second aqueduct. 1968 The California Constitution is amended to change the manner of assessment of Los Angeles-owned property in Owens Valley and to prohibit Inyo County from taxing water exported from Owens Valley. Under the new assessment procedure called the “Phillips formula,” the assessment of Los Angeles-owned lands in the valley is annually adjusted based on changes in the per capita assessed valuation of all properties in the state. 1970 In June, the Second Los Angeles Aqueduct is completed. The capacity of the Second Aqueduct is approximately 300 cfs (200,000 acre-feet per year). The combined capacity of the first and second aqueducts is approximately 780 cfs (570,000 acre-feet per year). Increased diversions from Mono Basin. Five months after the completion of the Second Aqueduct, the California Environmental Quality Act (“CEQA”) is enacted. 1972 In December, Inyo County commences CEQA litigation against Los Angeles seeking the preparation of an EIR on the Second Aqueduct and a halt to Los Angeles’s increased groundwater pumping. 1973-1984 The Appellate Court restricts groundwater pumping by Los Angeles to 149 cfs (108,000 AF/Y) pending Court approval of an LADWP EIR on the water supply for the Second Aqueduct. 1977 Based on a challenge by Inyo County, LADWP’s EIR on the water supply for the Second Aqueduct is found inadequate by the Appellate Court. LADWP cuts water supplies to Owens Valley ranchers. Inyo County obtains order from Appellate Court requiring water supply to be restored. Due to severe drought, upon application by LADWP, Appellate Court allows LADWP to pump up to 315 cfs after LADWP. At the urging of the Inyo County, the Court makes the increased pumping contingent upon Los Angeles adopting the first water conservation plan for the city. 1979 The Charles Brown Act is amended to permit the sale of leased Los Angeles-owned property at public auction if the lessee has requested such a sale 30 days in advance. The California Supreme Court rules that the public trust doctrine applies to Los Angeles’ diversions from the streams tributary to Mono Lake and orders that Los Angeles water rights in the Mono Basin be reconsidered in light of the public trust doctrine. 1980 The Inyo County Board of Supervisors submit an Owens Valley Groundwater Management Ordinance to County’s voters and the Ordinance is overwhelming approved. The Ordinance creates the Inyo County Water Commission and Inyo County Water Department. The Ordinance requires the Water Department/Water Commission to develop an Owens Valley water management plan and requires Los Angeles to obtain a permit from the County before it can pump groundwater from the Owens Valley. 1980 Los Angeles files lawsuits challenging the Groundwater Management Ordinance. In one case, LADWP successfully compels the County to prepare an EIR on its Owens Valley water management plan before the Ordinance can be implemented. In a second case (Inyo Superior Court Case No. 12908), LADWP challenges the legality of the Owens Valley Groundwater Management Ordinance. 1981 Based on a challenge by Inyo County, a second LADWP EIR on Second Aqueduct water supply is found inadequate by the Appellate Court. 1982 An MOU dated September 2, 1982 between Inyo County and LADWP, announces the County’s and LADWP’s intent to work together to identify and recommend methods to meet the needs of the valley and Los Angeles. The MOU creates the Inyo County/Los Angeles Standing Committee and Inyo County/Los Angeles Technical Group. LADWP and the County intend to work together to identify and recommend methods to meet the needs of the Owens Valley and Los Angeles. 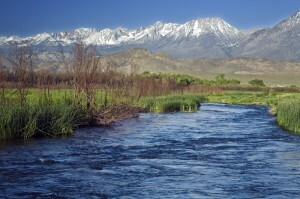 The parties desire a groundwater study of the Owens Valley to be made by the USGS. A Standing Committee and a Technical Group is created. The Standing Committee is comprised of one member of the LA City Counsel, two members of the LADWP Commission, three LADWP staff members, at least one Inyo County supervisor, two Inyo County Water Commissioners, and three Inyo County staff members. The Standing Committee is to meet at least every two months to review recommendations from the Technical Group, to discuss and suggest resolutions to differences between the parties, to issue reports and to make recommendations. The Technical Group is comprised of not more than five representatives selected by the County and five representatives selected by Los Angeles. The County and LADWP each have one vote on the Technical Group and on the Standing Committee. 1983-89 The USGS conducts groundwater and vegetation studies in the valley. 1983 In a ruling in Inyo County Superior Court Case No. 12908, the Court finds the County’s Groundwater Management Ordinance unconstitutional and preempted by state law. 1983 California Supreme Court rules that the “Public Trust Doctrine” applies to LADWP’s diversions from streams that are tributary to Mono Lake. SB 270 (Health and Safety Code section 42316) is enacted authorizing the Great Basin Unified Air Pollution Control District to require Los Angeles to provide reasonable mitigation of air quality impacts associated with its water gathering activities. 1984 Los Angeles and Inyo County reach “interim” groundwater management agreement. One goal of the interim agreement is for LADWP and the County to reach a “long-term” water agreement. Under the interim agreement, LADWP provides limited funding to County for water-related activities and LADWP’s groundwater pumping is cooperatively managed by LADWP and the County. Appellate Court lifts its groundwater pumping restriction of 149.56 cfs and instead allows the County and LADWP to implement groundwater management under the interim agreement; however, the Appellate Court issues a writ requiring that the impacts of any “long-term” water agreement between Los Angeles and the County, as well as the impacts of LADWP’s groundwater pumping since 1970, be addressed in an EIR. 1985-1991 Under interim agreements, LADWP’s groundwater pumping is cooperatively managed by Inyo County and LADWP. 1989 The County and LADWP reach a preliminary agreement on a long term water agreement. Under the preliminary long-term agreement, “ON-OFF” groundwater pumping management is implemented in the fall of 1989. The preliminary agreement is released for public review. The Court of Appeal rules that Los Angeles’ water rights licenses to divert water from streams in Mono Basin must be amended to require a bypass of water for fishery protection under Fish and Game Code section 5937 et seq. 1990 In a test of the Water Agreement, three County supervisors are recalled, but are retained in the election. 1991 The Court of Appeal rules that Los Angeles’ water rights licenses in Mono Basin should be further amended to require a bypass of water sufficient to maintain the fisheries that existed prior to Los Angeles’ stream diversions. 1991 An accidental rupture of a pipe supplying Los Angeles’s hydroelectric plant causes water to begin flowing in the Owens Gorge. Mono County and the California Department of Fish and Game, under Fish and Game Code section 5937, sue to require a permanent flow in the gorge to protect the fish. Los Angeles agrees to maintain flows in the gorge. In October, 1991, Los Angeles and Inyo County approve “Long Term Water Agreement” and certify the 1991 EIR that addresses the environmental impacts under the Agreement and the environmental impacts of LADWP’s groundwater pumping since 1970. The Green Book is made a Technical Appendix to the Water Agreement. The Standing Committee and the Technical Group, created in 1982, will continue to represent LADWP and the County in the implementation of the Water Agreement. The Water Commission and Water Department will continue in existence to assist Inyo County with the implementation of the Water Agreement. These lands will be supplied with water and will be managed to avoid causing significant decreases and changes in vegetation from vegetation conditions which existed on such lands during the 1981-82 runoff year. LADWP will continue to provide water for Los Angeles-owned lands in Inyo County in an amount sufficient so that the water related uses of such lands that were made during the 1981-82 runoff year can continue to be made. If as of July 1st or October 1st, the projected amount of available soil water at a monitoring site is less than the estimated water needs of the vegetation for the growing season (or appropriate portion thereof), the Department’s wells linked to that monitoring site shall be immediately turned off. Wells may be turned on when the soil water recovers to the water needs of the vegetation at the time the well was turned off. By April 20th of each year, LADWP shall prepare and submit to the Inyo County Technical Group a proposed operations plan and pumping program for the twelve (12) month period beginning on April 1st. All existing enhancement/mitigation projects will continue unless the Inyo County Board of Supervisors and the LADWP, acting through the Standing Committee, agree to modify or discontinue a project. LADWP and the County, together with DFG, are to complete a management plan for the LORP by June 1, 1992. The County and LADWP are to actively seek to secure funding for the construction and operation of the LORP from the state and from other sources. Construction of the LORP is to be commenced by the LADWP within 3 years after Court approval of the Agreement unless otherwise agreed to by the Inyo County Board of Supervisors and LADWP. The LORP is to be the subject of a CEQA review separate from the 1991 EIR which addresses the Water Agreement and LADWP’s groundwater pumping since 1970. The LORP is to include the construction of a pumping station to pump water from the river near Keeler Bridge to the Los Angeles aqueduct. The pumpback system is to be capable of pumping up to fifty cubic feet per second (50 cfs) from the river to the aqueduct; but the average annual pumping at the station in any year is not to exceed approximately 35 cfs. Releases to the river are to be made above Blackrock Gate (but below the aqueduct intake). Off-river lakes and ponds are to be continued, and water is to be released from the pumpback station to supply the southern end of the river and the Delta. LADWP is to construct, operate, and maintain the pumpback system. The total cost of the LORP is estimated to be approximately $7.5 million. LADWP is required to fund the construction costs of the LORP. The County is required to contribute fifty percent of the construction costs up to $3.75 million (less any funds obtained by the County from other sources). Once the LORP has been constructed and completed, LADWP and the County are required to jointly operate and fund the non-pumpback portions of the project. Annual funding is required to be provided by LADWP to the City of Bishop for park and environmental assistance. A final order in the case (in which the Court ruled that the 1980 Groundwater Ordinance was unconstitutional and preempted by law) will not be entered or filed. The County is prohibited from enforcing the Ordinance and the County will not seek appellate review of the decision by the Superior Court. The Water Agreement is to be entered as an order in Case No. 12908. INYO COUNTY. Los Angeles is to offer for sale 75 acres of Los Angeles-owned land within the general areas designated by the boundaries noted on the maps attached to the Agreement. CITY OF BISHOP. In addition, Los Angeles will sell at public auction, or sell directly to the City of Bishop or the Bishop Community Redevelopment Agency, properties within the Bishop City limits totaling 26 acres of surplus Los Angeles-owned land. ADDITIONAL SALES. In addition, upon request of the Inyo County Board of Supervisors or the Bishop City Council, Los Angeles shall negotiate in good faith for the sale at public auction of additional surplus Los Angeles-owned land in or near valley towns for specific identified needs. LANDS FOR PUBLIC PURPOSES. Los Angeles shall negotiate in good faith for the sale or lease to the County of any Los Angeles-owned land requested by the County for use as a public park or for other public purposes. The Superior Court Judge assigned to Inyo Superior Court Case No. 12908. 1991 LADWP begins providing funding to Inyo County and the City of Bishop under the Water Agreement. The 1991 EIR is submitted to Appellate Court together with a joint request from LADWP and the County to discharge its writ compelling the preparation of the EIR. EIR addresses the environmental impacts of LADWP’s operations to supply the Second Aqueduct with water from 1970 to 1990 and the environmental impacts under the Water Agreement from 1990 onward. Because of significant adverse impacts from 1970 to 1970, LADWP committed in the EIR to maintain most E/M projects as mitigation measures and to implement additional mitigation measures. The LORP (as described in the Water Agreement) is adopted by LADWP a compensatory mitigation measure. In response to numerous comments on the Draft 1991 EIR, “master comments and responses to master comments” are included in the final EIR. The master responses in many cases clarify or expand commitments made in the Draft 1991 EIR. 1991 Two state agencies (the Department of Fish and Game and the State Lands Commission), two environmental groups (the Sierra Club and the Owens Valley Committee), Native Americans and others ask the Appellate Court to grant them status as amici curiae (friends of the court) to assist the Court in determining the legality of the 1991 EIR. The primary concern of the state agencies and the environmental groups is that the LORP as a compensatory mitigation measure is inadequately described in the Water Agreement and 1991 EIR. The full implementation of the Water Agreement is “on hold” until 1997 when the Appellate Court determines that the 1991 EIR is adequate. 1992 Inyo County and LADWP reach a settlement with the Native Americans seeking amicus curiae status and the request of the Native Americans for such status is withdrawn. Inyo County and LADWP continue settlement negotiations with the other organizations and individuals seeking amicus curiae status. As a result of the prolonged drought beginning in 1987 and the failure of vegetation and groundwater levels to recover to baseline conditions under ON-OFF groundwater management, the Standing Committee adopts a “Drought Recovery Policy” that augments ON-OFF management. Recognizing the current extended drought, the Standing Committee establishes a policy for annual management of groundwater pumping during this drought. The goal of this policy is that soil water within the rooting zone recover to a degree sufficient so that the vegetation protection goals of the Agreement are achieved. To this end, groundwater pumping during this drought, as well as the period of recovery, will be conducted in an environmentally conservative manner, taking into consideration soil water, water table, and vegetation conditions. 1993 As part of the negotiations on a settlement of the litigation challenging the 1991 EIR, LADWP releases a test flow into the Lower Owens River resulting in a substantial fish kill. 1994 Los Angeles enters into an “interim agreement” with Mono County and the Department of Fish and Game which requires the continuation of flows in the Owens River Gorge. The interim agreement states that a “final agreement” on the amount of the flows in the gorge will be developed. The State Water Resources Control Board issues decision 1631 that reduces Los Angeles exports from Mono Basin in order to raise the water level of Mono Lake and to restore stream and waterfowl ecosystems. LADWP’s exports from Mono Basin are reduced by approximately 74,000 acre-feet per year (to approximately 16,000 acre-feet per year) until a target elevation of the water level in Mono Lake is reached which is estimated to occur in approximately 20 to 30 years. 1997 In January, 1997, LADWP, Inyo County, Sierra Club, Owens Valley Committee, State Department of Fish and Game and California State Lands Commission reach agreement on a settlement that resolves the challenges to the adequacy of the 1991 EIR. The settlement is in the form of a Memorandum of Understanding (“MOU”). The stated purpose of the MOU is to resolve the conflict over the LORP and other provisions of LADWP’s 1991 EIR. 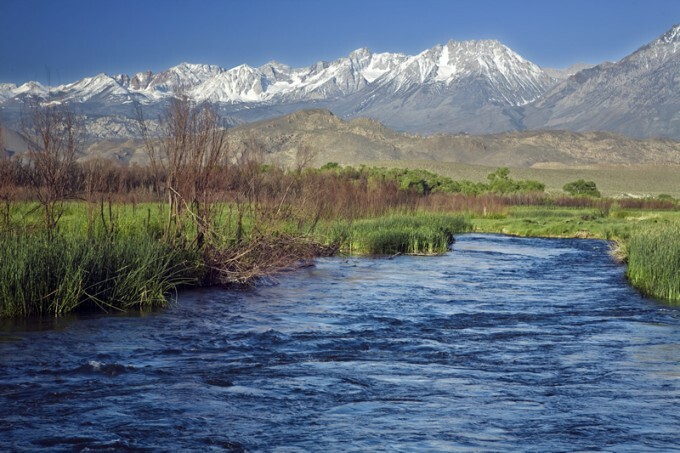 The LORP is to be augmented to add the development and implementation of an ecosystem management plan for the Lower Owens River area that incorporates multiple resource values and provides for management based upon holistic management principles. DWP and the County are to direct and assist Ecosystem Sciences in the preparation and implementation of the LORP ecosystem management plan (“LORP Plan”). The goal of the LORP is the establishment of a healthy, functioning Lower Owens River riverine-riparian ecosystem, and the establishment of healthy, functioning ecosystems in the other physical features of the LORP, for the benefit of biodiversity and Threatened and Endangered Species, while providing for the continuation of sustainable uses including recreation, livestock grazing, agriculture and other activities. LADWP, as lead agency, and the County, as responsible agency, are to jointly prepare an EIR on the LORP. A draft LORP EIR is to be released within 36 months of the discharge of the writ (by May 2000), and a final LORP EIR is to be completed as soon as possible following the release of the draft EIR. LADWP is to commence the baseflow of 40 cfs in the river channel by the 72nd month after the discharge of the writ (by May 2003) unless circumstances beyond LADWP’s control prevent the completion of the pumpback system and/or the commencement of the baseflow within the 72-month period. LADWP will commence implementation of the other physical features of the LORP upon the certification of the LORP EIR. Provide reports and data prepared under the MOU to MOU parties and to the public. 1997 On May 23, 1997, the Appellate Court discharges its writ requiring the preparation of an EIR on the Water Agreement and LADWP’s pumping. On June 13, 1997, the Water Agreement is entered as an order of the Inyo County Superior Court in Case No. 12908. Full implementation of Water Agreement begins. The Benton, Bishop, Big Pine and Lone Pine Tribes and Los Angeles reach a tentative agreement whereby Los Angeles would provide an additional 4,350 acre-feet of water per year to the tribes (in addition to the 5,556 acre-feet of water under the 1938 Exchange Agreement). Internal disagreement within the Tribes prevents ratification of the agreement. 1998 The State Water Resources Control Board issues order further detailing the minimum steam flow requirements to be maintained by Los Angeles in Mono Basin. The Great Basin Unified Air Pollution Control District adopts a State Implementation Plan (“SIP”) which requires LADWP to implement dust control measures on Owens Lake. In January 1998, the Standing Committee agrees that the City would not enter into any agreement to purchase or otherwise acquire water extracted or diverted from Inyo County unless the County has first informed Los Angeles that the County has entered into an agreement with the water seller that protects the County’s environment and economy. On October 27, 1998, Inyo County adopts a Groundwater Ordinance (Ordinance 1004) to regulate exports of groundwater. A transfer of water outside of the County. Subject to certain exemptions, any person who proposes a transfer or transport of water described above must first obtain Conditional Use Permit from the Inyo County Planning Commission. Before the Planning Commission can issue a Conditional Use Permit, it must find that the transfer will not have an unreasonable effect on the County’s environment or economy. The permit must include a monitoring, groundwater management and/or reporting program. Under the Ordinance, the Water Commission serves as a technical advisor to the Planning Commission. 1999 On July 27, 1999, Inyo County adopts Resolution 99-43 which establishes policies and procedures to implement the County’s water policies. The Resolution reaffirms the policy set forth in the Groundwater Ordinance adopted by the voters in 1980. That policy is to protect the County’s environment, citizens and economy from adverse effects caused by activities relating to the extraction and use of water resources and to seek mitigation of any existing or future adverse effects resulting from such activities. The Resolution describes how funding under the Water Agreement is to be expended. The Board is responsible for the implementation of the County Policy on the Extraction and Use of Water, the 1991 Water Agreement, the MOU and Ordinance 1004. Serves in advisory capacity to the Board of Supervisors on water-related issues and as a consultant to the Planning Commission Conditional Use Permits under Ordinance 1004. Assists in the implementation of the 1991 Water Agreement, MOU, Ordinance 1004, and County water policy. Administers the town water systems. Administers land releases under the Water Agreement and processes and considers conditional use permit applications under Ordinance 1004. The Board of Supervisors determines the County’s position on any item to be voted upon by the Standing Committee. The County’s members of the Standing Committee are two members of the Board of Supervisors, the County Administrator, the County Counsel and the Director of the Water Department. The members of the Technical Group are to be the members of the staff of the Water Department. The County Administrator and representatives of other County departments or consultants to the County may represent the County on the Technical Group when appropriate. 2000-01 The MOU parties agree on several extensions of time to complete the Draft EIR/EIS on the LORP, but the Draft EIR/EIS is not completed by the extended deadlines. 2002 By stipulation dated May 30, 2002, the parties to the MOU agree that the Draft EIR/EIS will be released by August 31, 2002; however, the Draft EIR/EIR is not released by August 31, 2002. On September 12, 2002, the Inyo County Superior Court issues an order directing the release of the Draft EIR/EIS on the LORP by November 1, 2002. The Draft EIR/EIS on the LORP is released in accordance with the Court’s Order. 2003 On September 23, 2003, the Sierra Club and the Owens Valley Committee filed a “Second Amended and Supplemental Complaint” in the Sierra Club I case. On December 4, 2003, the Department of Fish and Game filed a cross complaint in the Sierra Club I case. The lawsuits seek to enforce the terms of the 1997 MOU. 2004 On February 13, 2004, in the Sierra Club I case, the Superior Court enters an order to which the parties to the MOU had stipulated. The purpose of the stipulation and order is to resolve issues raised the in Amended Complaint and Cross Complaint. On September 15, 2004, the February order of the Court was amended by a further order to which the parties to the MOU had stipulated. (“Amended Stipulation and Order.”) The amended order added provisions to resolve issues involving the MOU’s requirements for evaluations of Yellow-billed Cuckoo habitat and the use of 1,600 acre-feet of water for implementation of mitigation at Hines Spring and elsewhere in the Owens Valley. Complaint in the Sierra Club I case, and to resolve the issue of the capacity of the LORP pump station. maximum capacity of 50 cfs. The initial releases of water to the river are to be commenced by LADWP on or before September 5, 2005. LADWP will increase the flows as rapidly as possible while attempting to avoid adverse impacts on water quality and fish. It is anticipated that baseflows of 40 cfs will be fully implemented by April 1, 2006. The County will seek new grant funds to continue its salt cedar control program in the area of the LORP. LADWP will provide funds to the County in an amount not to exceed $500,000 per year, to match any grant funds obtained by the County for the salt cedar control program in the LORP up to a total maximum of $1,500,000. Ecosystem Sciences, assisted by subcontractors recommended by the County and acceptable to Ecosystem Sciences, will conduct an evaluation of the condition of Yellow-billed Cuckoo habitat in the riparian woodland areas of Hogback and Baker Creeks as provided in a specified work plan. LADWP and the County will direct the MOU Consultants (Ecosystem Sciences, Inc.) to complete the work described in the work plan in accordance with the schedule contained in the work plan. 1600 AFY will be supplied by DWP for (1) the implementation of an on-site mitigation measure at Hines Spring, and/or (2) the implementation of on-site and/or off-site mitigation away from Hines Spring. The MOU Consultant, Ecosystem Sciences, in accordance with a work plan, is to determine the amount of water necessary to implement the Hines Spring mitigation and is to recommend whether the water should be used at Hines Spring or at other mitigation sites. LADWP and the County will direct the MOU Consultant (Ecosystem Sciences, Inc.) to complete the work described in the work plan in accordance with the schedule contained in the work plan. 2004 On May 10, 2004, LADWP informs the County and EPA that it will independently complete a Final LORP EIR/EIS without the further involvement of the County or EPA. On June 23, 2004, LADWP releases a Final LORP EIR/EIS. On July 22, 2004, the City of Los Angeles certifies the Final LORP EIR as adequate. The Final EIR contains a preliminary draft of a LORP “Post-Implementation Agreement” between LADWP and the County which describes the procedures for LADWP and the County jointly funding and operating the LORP. The Final EIR acknowledges that LADWP and the County would have to negotiate a final LORP Post-Implementation Agreement. The Sierra Club, Owens Valley Committee and the two State agencies commence dispute resolution under the MOU concerning an alleged failure of the LORP Plan to comply with the requirements of the MOU. (The MOU provides that the plan is to be prepared by the MOU Consultant, Ecosystem Sciences, Inc. with direction and assistance by LADWP and the County.) The dispute is not resolved. 2005 On January 14, 2005, the Sierra Club and the Owens Valley Committee file a complaint in Inyo Superior Court (Case No. CVPT-05-37969) against the City of Los Angeles and Inyo County alleging that the LORP Plan prepared by Ecosystem Sciences does not comply with the requirements of the MOU. (“Sierra Club III case.”) . The August 2002 LORP Plan fails to meet the requirements of the MOU with regard to content; therefore, LADWP and the County failed to carry out their MOU imposed duty to direct Ecosystem Sciences in the preparation of an adequate LORP Plan that meets the requirements of the MOU. 2005 On January 25, 2005, the ownership of the town water systems is transferred by Los Angeles to the County. On July 25, 2005, pursuant to a stipulation between the Sierra Club and LADWP in the Sierra Club II case, the Inyo County Superior Court issues a judgment in the case that requires LADWP to prepare a focused environmental analysis that addresses the impacts of the LORP on the “brine pool transition area,” but which allows LADWP to proceed with the implementation of the remainder of the LORP. In April, 2005 proceedings were commenced in the Superior Court to hear motions brought by the environmental groups and the state agencies that LADWP was in violation of the Amended Stipulation and Order. On August 8, 2005, the Court issues an order which imposed an injunction against LADWP for violations of the Amended Stipulation and Order. A. The use of the Second Los Angeles Aqueduct is enjoined. A requirement that LADWP pay $5,000 per day commencing on September 5, 2005 into an escrow account established by LADWP and the County until LADWP has established a permanent baseflow of approximately 40 cfs in the LORP. A requirement that LADWP submit monthly reports concerning its compliance with the Court Order. The appointment of a Special Master to monitor compliance with the Court Order. C. If LADWP fails to comply with the Court imposed conditions, the issuance of a permanent injunction against the use of the Second Los Angeles Aqueduct that is to remain in effect until LADWP establishes a permanent baseflow of approximately 40 cfs in the LORP. 2005 On September 6, 2005, the County and LADWP enter into an agreement whereby the County agrees to forego $5,393,033.00 in grant funds from the EPA for the LORP in consideration of the provision of $5,393,033.00 to the County by LADWP. (“LORP Funding Agreement.”) The agreement creates a “credit account” in the amount $2,253,033.00 held by LADWP for use by the County to fund a portion of the County’s share of the LORP costs. LADWP will provide a credit to the County in the amount of $2,989,932.00 against the County’s obligation to fund $3.75 million of the LORP initial construction costs. The provision of this credit, in combination with the County’s previous application of $360,000.00 obtained from the U.S. Bureau of Reclamation, $250,000.00 obtained from the U.S. Department of Housing and Urban Development and $150,068.00 obtained from the EPA to LORP initial construction costs, will fully discharge the County’s obligation for the payment of $3.75 million for the LORP initial construction costs. The difference between the original credit of $5,242,965.00 and the $2,989,932.00 applied to the LORP initial construction costs, a total remaining credit of $2,253,033.00, will partially fund the County’s obligation to pay one half of the LORP post-implementation costs. Each year, the remaining credit will be reduced by the County’s share of the LORP post-implementation costs until the $2,253,033.00 credit has been reduced to zero. Also, each year, the then remaining unexpended portion of the $2,253,033.00 shall be annually adjusted upward or downward in accordance with the Los Angeles–Anaheim–Riverside All Urban Consumers Price Index (“CPI”) or its successor. The annual CPI adjustment shall take place prior to deduction of a credit for the County’s annual share of the LORP post-implementation costs. The CPI adjustment will commence when LADWP has established a permanent baseflow of approximately 40 cfs in the LORP. 2. The escrow account, required to be established by the Court Order, will be established in the Inyo County Treasury as a Trust Account. The interest earned on the fund balance will remain in the account. Only after the $2,253,033.00 credit from LADWP has been fully expended will the County be required to pay its share of the LORP post-implementation costs from the trust account. 3. If the EPA should require the County to repay any portion of the $150,068.00 that EPA provided to the County and that the County expended on the LORP, LADWP will pay to the County the amount to be repaid (including any interest charges). 4. LADWP and the County will each send letters to EPA informing EPA that LADWP and the County desire to forego the designated EPA grant funds for the LORP. LADWP and the County will send a joint letter to the Corps of Engineers informing the Corps that EPA will no longer be providing grant funds for the LORP and requesting the Corps to expeditiously proceed with work on the issuance of permits by the Corps that are necessary to allow implementation of the LORP. MWH will be notified to discontinue work on the LORP EIS. LADWP will bear all costs associated with MWH’s work on the EIS prior to the notice to discontinue work. 5.In the event that LADWP elects to appeal the Court Order, the agreement provides that LADWP will only appeal those portions of the Court Order that would establish a permanent injunction against the use of the Second Los Angeles Aqueduct. LADWP will not appeal any of the conditions of the stay of the injunction established by the Court Order. Even if an appeal by LADWP should result in the abatement of a condition(s) of the stay, the agreement provides that LADWP agrees to comply with such condition(s) until LADWP establishes a permanent baseflow of approximately 40 cfs in the LORP. 2005 By letter dated September 20, 2005, the County informs EPA that the County will forego the EPA grant funds. By foregoing the EPA grant funds, the need to prepare an EIS is eliminated. On October 3, 2005, the Inyo County Superior Court issues an order approving the use of a trust account in the Inyo County Treasury in lieu of the escrow account specified in the August 8, 2005 Court Order. LADWP files appeal seeking to set aside the August 8, 2005 Court Order with the Fourth District Court of Appeal in San Bernardino. 2006 On July 18, 2006, the LADWP Board of Water and Power Commissioners certifies a Final Supplemental LORP EIR required in the Sierra Club II case that addresses the impacts of the LORP on the “brine pool transition area,” The Sierra Club challenges the adequacy of the document. On September 27, 2006, the Fourth District Court of Appeal affirms the August 8, 2005 Court Order and denies LADWP’s appeal. On October 16, 2006, the Inyo County Superior Court issues a Final Judgment finding that the Final Supplemental LORP EIR is adequate. In 2006, Los Angeles owns 251,898 acres in Inyo County–198,203 acres are leased for ranching and there are 166 business leases. 2007 On February 27, 2007, LADWP moves the Inyo Superior Court to vacate the injunction and lift the conditions of the August 8, 2005 Court Order. On March 12, 2007, the Court finds that LADWP is not in compliance with all of the conditions in the Court Order and denies LADWP’s motion. The goal of the IMP is to provide an environment conducive to successfully performing a Cooperative Study to update the Green Book. During the 2007-08, 2008-09 and 2009-2010 runoff years, groundwater pumping by LADWP in the Owens Valley, except in the Bishop and Lone Pine wellfields, will be managed with the goal of having average forecasted wellfield groundwater levels on April 1, 2008, April 1, 2009 and April 1, 2010 (wellfield target levels) at or greater than the average measured wellfield groundwater levels on April 1, 2007. If the forecasted runoff for a runoff year should exceed 130 percent of average, LADWP will divert a minimum of 10,000 af of water from the Owens River and will spread such water in the Laws wellfield and/or use such water to supply irrigation uses in the Laws wellfield. During the term of the IMP agreement, the County will not initiate a dispute proceeding under the Water Agreement over the amount of groundwater pumping in a wellfield, provided that pumping is consistent with the IMP. During the term of the IMP, the County will consider the Drought Recovery Policy superseded by the groundwater management provisions of this agreement, and will not initiate a dispute proceeding on the validity of the Drought Recovery Policy. Except for the costs of County and LADWP staff that participate in the Cooperative Study, the County and LADWP will share the costs of conducting the Cooperative Study equally. LADWP will provide the amount of $100,000 to the County within 60 days of the execution of the IMP. The County will place these funds in a trust account in the Inyo County Treasury. The County will provide LADWP with a monthly accounting pertaining to the account, reflecting the balance and itemized debits. The principal and interest in the trust account will only be used for the purposes of paying the costs of the Cooperative Study. Funds in the trust account will be used to pay the County’s share of the costs for facilitators, peer reviewers, consultants, contractors, and other expenses that directly relate to the work covered under the Cooperative Study. 2007 On July 11, 2007, in the Sierra Club I case, pursuant to a stipulation between the environmental groups, state agencies, LADWP and the County, the Inyo County Superior Court issues an order vacating the injunction and lifting the conditions imposed on LADWP by the August 8, 2005 Court Order. The Order resolves all issues concerning LADWP’s compliance with the August 8, 2005 Court Order. The injunction on the use of the second aqueduct is vacated, and the $5,000 a day payment and the restrictions on LADWP’s groundwater pumping are terminated. To ensure the maintenance of the required permanent 40 cubic foot per second baseflow in the Lower Owens River in the future, the Order requires that LADWP meet mandatory baseflow criteria. LADWP is required to monitor and publicly report compliance with the baseflow criteria. LADWP may request a waiver of the noncompliance payments if emergencies, unplanned non-emergency events, or planned actions (such as implementation of adaptive management measures) prevent compliance with the requirements. LADWP and the County will prepare an annual report on the LORP. A draft of the report will be released to the public and to MOU parties 15 days before the Technical Group conducts an annual meeting concerning the LORP. The public and the MOU parties may submit comments on the draft report within 15 days after the Technical Group meeting. During a 7 year period, LADWP will reimburse the Sierra Club and Owen Valley Committee in an amount of up to $4,000 per year. During 4 of the following 8 years, LADWP shall reimburse those entities in the amount of $4,000 per year. LADWP will provide the MOU parties with notice of Technical Group meetings as soon as such meetings are scheduled and shall provide the parties with meeting agendas at least 48 hours in advance of a Technical Group meeting. Within 5 days after a meeting, LADWP shall provide the parties with an audio recording of the meeting and will post a summary of actions taken at the meeting on LADWP’s website. LADWP will provide the MOU parties with meeting agenda material provided to the Standing Committee in advance of each Standing Committee meeting. 2007 In September 2007, the Owens Valley Committee notifies the parties to the MOU and others that it will not accept a plan for the use of 1,600 acre feet of water per year at Hines Spring and other locations. The plan was developed through an “ad hoc” process that was commenced in March 2006 when the parties to the MOU expressed dissatisfaction with the plan developed by Ecosystem Sciences, Inc. The Sierra Club and Owens Valley Committee move the Superior Court to allow the filing of First Amended and Supplemental Complaint in the Sierra Club III case. In November 2007, LADWP and the County direct Ecosystem Sciences to complete a final LORP Monitoring, Adaptive Management and Reporting Plan using its independent judgment. Ecosystem Sciences reports that it will complete such a draft of such a plan by February 8, 2008 and a final plan by March 28, 2008. On November 15, 2008, the Superior Court denies, without prejudice, the motion of the Sierra Club and Owens Valley Committee to file an amended complaint in the Sierra Club III case. The Court says it will reconsider the motion if the final LORP Monitoring Adaptive Management and Reporting Plan is not completed by the deadlines established by Ecosystem Sciences. 2008 The MOU parties and others continue to work through the “ad hoc” process to develop plans for the use of 1,600 acre feet of water per year at Hines Spring and other locations and for enhancement of Yellow-billed Cuckoo habitat at Baker Creek and Hogback Creek. Negotiations between LADWP and the County over the LORP Post-Implementation Agreement continue. Under section H of the 1997 MOU, LADWP and the County are to prepare an annual report describing environmental conditions in the Owens Valley and studies, projects, and activities conducted under the Water Agreement and the MOU. Under the July 11, 2007 Court Order vacating the injunction on LADWP’s use of its Second Aqueduct, LADWP and the County are to prepare an annual report on the LORP and are to release the report to the public and to the MOU parties 15 days before the Technical Group conducts an annual meeting concerning the LORP as described in Section 2.10.4 of the Final EIR on the LORP. Under section H.4 of July 11, 2007 Court Order vacating the injunction on LADWP’s use of its Second Aqueduct, the County is required to submit to the MOU parties a monthly accounting of funds received, an itemization of debits and statement of the remaining balance in the Trust Account established in the Inyo County Treasury. The County is committed to work with the MOU parties and others through the “ad hoc” process to complete plans for: (1) the implementation of an on-site mitigation measure at Hines Spring, and/or (2) the implementation of on-site and/or off-site mitigation away from Hines Spring. The County is committed to work with the MOU parties and others through the “ad hoc” process to complete plan for the enhancement of Yellow-billed Cuckoo habitat in the riparian woodland areas of Hogback and Baker Creeks. The County should approve the portion of the Final LORP EIR that addresses the “brine pool transition area” now that the Inyo Superior Court has issued a final judgment finding the supplemental LORP EIR legally adequate. Complete and approve a LORP Post-Implementation Agreement that addresses joint LADWP/County funding and management of the LORP. Continue to seek additional funding for the County’s share of the LORP post-implementation costs. Ensure that Ecosystem Sciences completes a final LORP Monitoring, Adaptive Management and Reporting Plan.